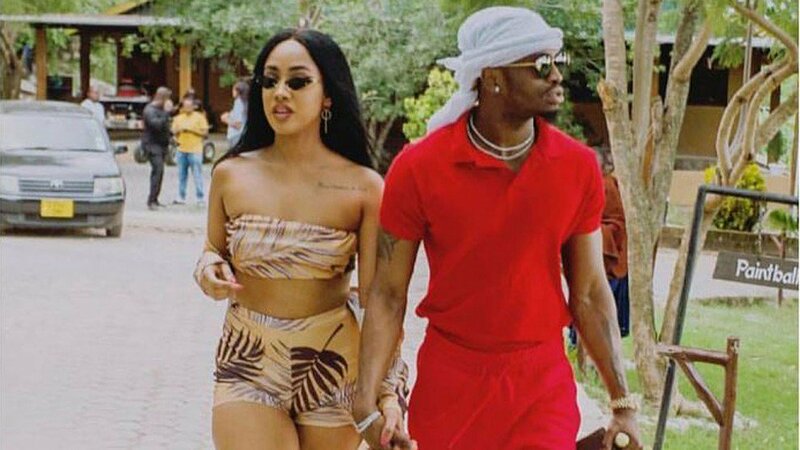 NAIROBI– Kenyan radio presenter Tanasha Donna, a new babe to Tanzanian music star Diamond Platnumz has come out to say that it’s not the right time for them as a couple to post their relationship status. The Italian mixed blood Kenyan model through her Instagram revealed that her and her boyfriend agreed to delete so far post of them that they had earlier posted on different social media platforms and wait for the right time. “Just to make things clear… D and I came to a mutual understanding that it may be too soon to be public with our relationship on social media right now. So we decided to keep our relationship private for the moment until we feel like going public again. May God bless you all,” posted Tanasha. Diamond and Tanasha have since deleted all pictures and videos they had posted of the two of them together. It should be noted that the two have been dating for over a month now and social media has been abuzz with their photos together. Lovestruck Diamond has been flooding his social media platforms with pictures of Tanasha to profess his love.